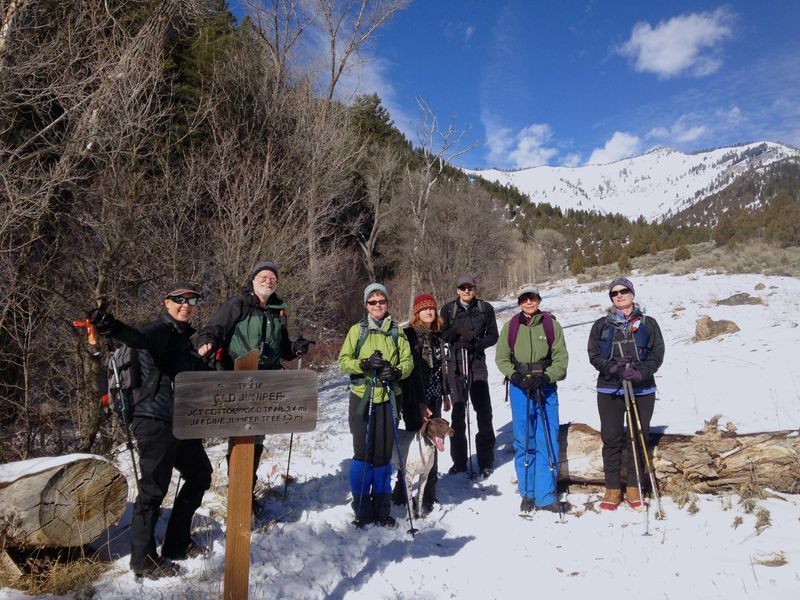 Eight people and one dog (Jasper) took part: Dave W, Jane, Deanna, Laurel, Chris, Teresa, Susan, and Dave P (leader). There was so little snow that we weren’t sure Wood Camp would be the best place for a winter outing. But higher locations were forecast to have strong wind and would have made a longer than expected outing. 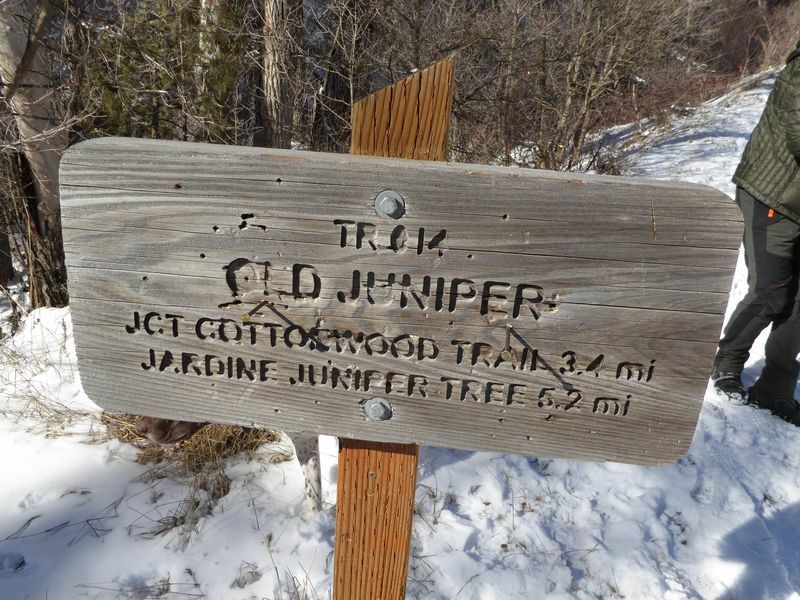 In the end the Jardine Juniper trail from Wood Camp was frozen and good for boots in the morning. Everyone had some form of ice cleats and 7 wore them the whole way. It was a warm sunny day and by afternoon the lower trail was muddy. 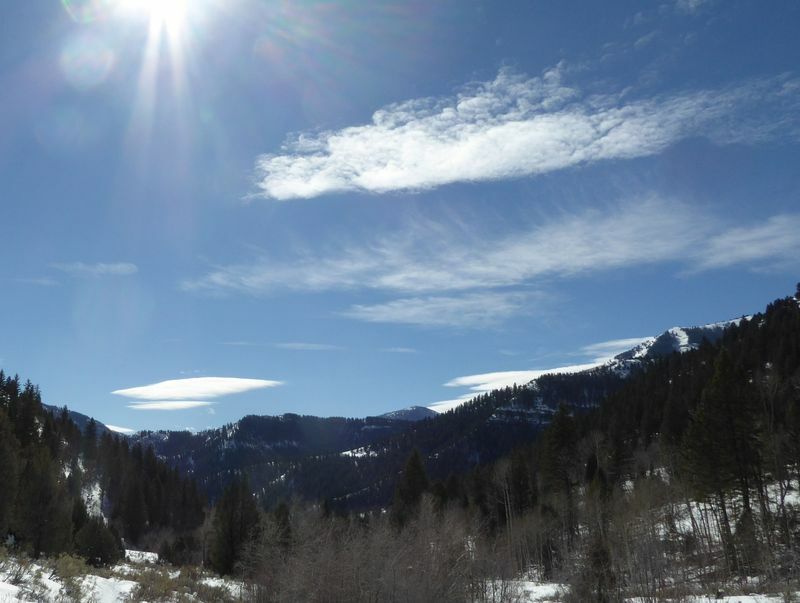 Interesting altostratus and lenticular clouds indicated high altitude wind and moisture ahead of a forecast storm. 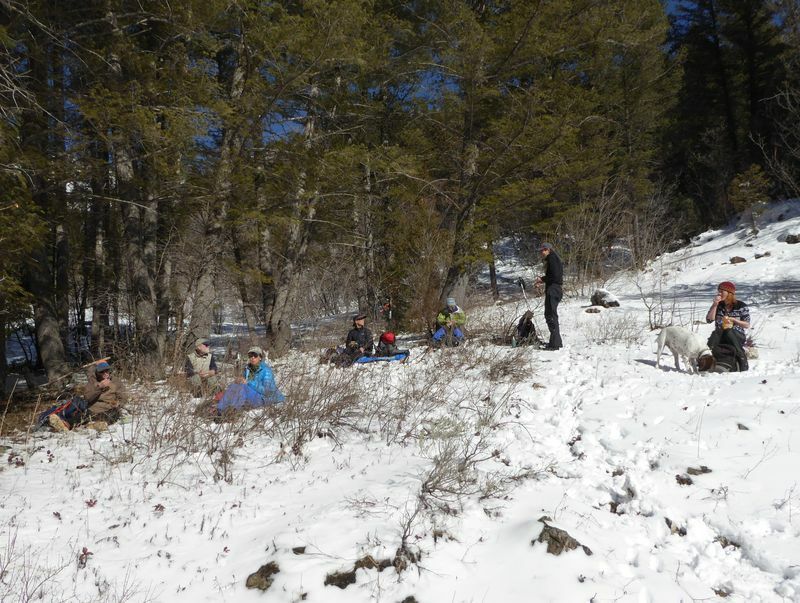 We met a large group of USU vet science students and dogs coming down the trail. In fact we saw more dogs than wild animals. We had a relaxing lunch in the sun below the springs. At that point two hikers had to head back to have time for another event. The weather and trail up the switchbacks was good so the others hiked up to the ridge. 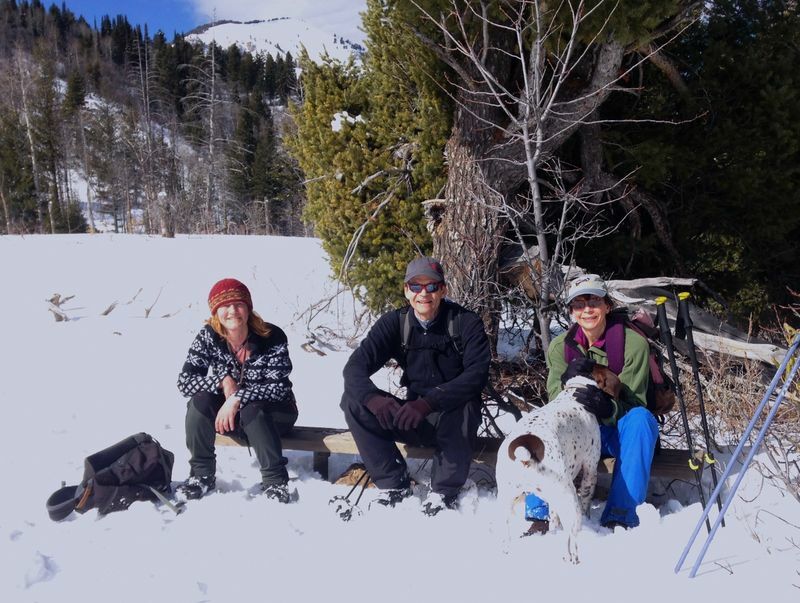 At that point the trail drops down into the old trail drainage (east fork of Wood Camp) and snow was deep enough for snowshoes but still OK for boots, and four hikers (and Jasper) continued up to the bench. The trail was not broken above that point, and it was past time to turn around. We got back to the cars at 2:30 and the Smiths parking lot at 3:20. Back at the trailhead at 2:30 and Logan at 3:20.